So, we may be having a little too much fun setting up for our Blush by Hayley Paige trunk show this weekend! 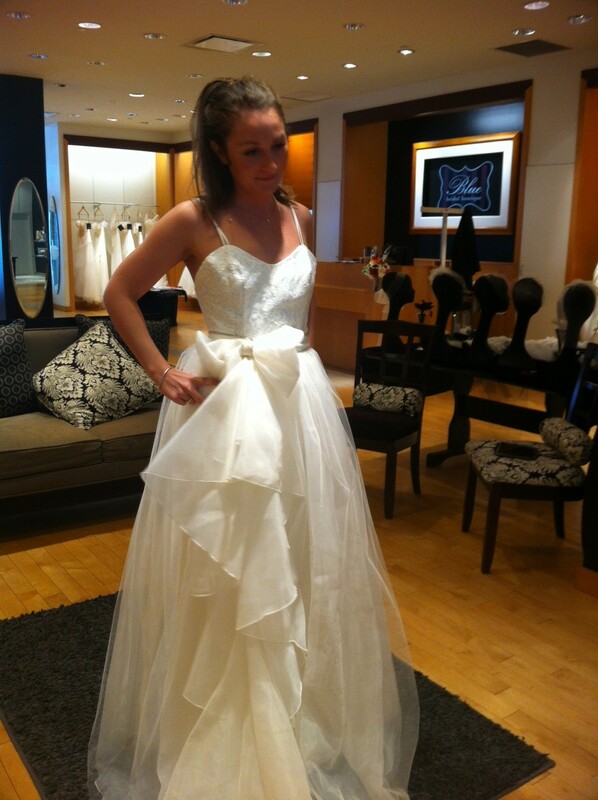 We couldn’t resist trying on a few of the gowns as we were unpacking the latest styles this morning. We are loving the blush colored gown that’s shorter in the front, so perfect for showing off some adorable shoes! And the removable skirt on the lace gown makes it two dresses in one!